Remember Windows Live Writer? It was one of the best desktop apps that nobody ever heard of. In short, it was a desktop app that allowed you to write locally, but publish to almost any blogging platform. Microsoft killed the project in 2012, stopping development but still offering the app for download from its old location until now. Many of us were sad it disappeared, myself included, but a team of developers inside Microsoft decided to save it. 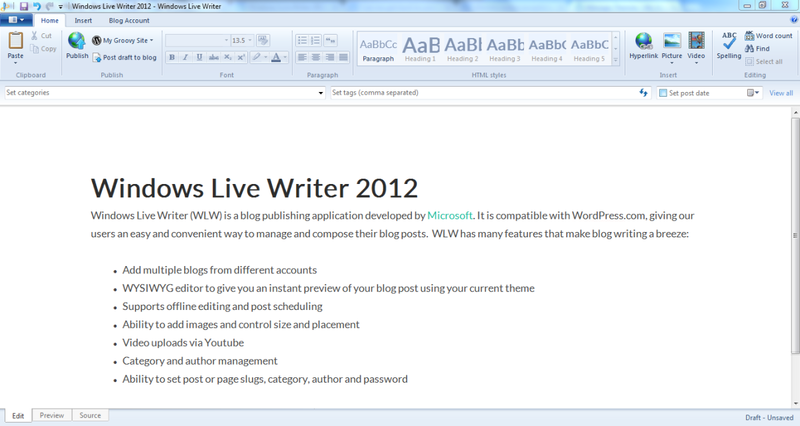 Fast-forward to 2015, and that group has re-released the original Windows Live Writer as an open-source project called Open Live Writer. It’s rough around the edges right now, but the group is working to further development and turn it into an even better way to publish blog posts from Windows machines. Released by the .NET foundation, the tool was revived by an all-volunteer team within the company led by Scott Hanselman. In development since January 2015, today’s release is version 0.5, which is intended to open the code to all for community contribution — it’s now available under the MIT license. It’s early days right now, but the group is looking for developers, designers and even marketing people to help get the app back on its feet. There aren’t many great desktop-based apps for publishing to the Web anymore, so it’s great to see one of Microsoft’s best tool for it being kept alive.